06.08.2018 13:15:24 - Bob Little - an internationally-known writer who writes about, and commentates on, the online learning technologies sector around the world - has written a guest blog post for the e-learning provider, Engage in Learning. 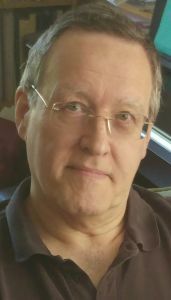 (live-PR.com) - Bob Little - an internationally-known writer who writes about, and commentates on, the online learning technologies sector around the world - has written a guest blog post for the e-learning provider, Engage in Learning. 2. Faster learning results - Unlike learning in a classroom, e-learners can focus purely on the elements they need to learn - and can learn at their own pace. A classroom instructor must cater for the needs of every learner, must cover everything on the agenda regardless of whether the learners already know it – and can only progress at the pace of the slowest learner. 3. Faster application of the learning - Since the learning materials are available online all the time, learners can access – and re-access - them exactly as, when and where they need the learning that these materials contain. 4. Access to specialists - E-learning provides a way for anyone to access – relatively cheaply - the knowledge, skills and expertise of the world’s best exponents or specialists in a particular field. 5. Consistency of message - E-learning materials provide consistency of content and presentation style. This can be particularly valuable to organisations employing a large number of people – perhaps around the globe. 6. Access to vital data - Many e-learning materials focus on imparting information that learners need to know so they can keep their jobs – and their employers need to know that they know, because of the employers’ compliance and regulatory obligations. Making this learning available via e-learning, distributed via a learning management system (LMS) or learning content management system (LCMS), enables the learners’ employer to collect the data needed to prove to the authorities that each learner continues to comply with the regulations. This can save employers vast amounts of money and hassle in unlevied fines and court cases that are never brought. 7. Always up-to-date - E-learning materials can be updated in one ‘central repository’ - an LMS or LCMS - as and when necessary. This should provide peace of mind for administrators who must ensure that, for compliance and regulatory purposes, all learners can access the most up-to-date information. 8. Lower environmental impact - In climate-conscious times when people and businesses are keen to reduce the adverse impact of any activity on the environment, e-learning- compared with classroom-delivered learning - offers an extremely low carbon footprint, ‘green’ way of imparting knowledge and skills. • Dramatically reduces the cost of learning materials per learner compared with the costs of classroom-delivered learning. • Saves the costs involved in classroom-delivered learning – including the opportunity costs of the learners’ lost productivity from leaving their post to go on a course. • Materials can be accessed, learned – and applied – more swiftly than knowledge and skills disseminated by a classroom-delivered course. So, the learners become more effective, efficient and productive sooner. This lowers the costs associated with rectifying corporate mistakes and satisfying customer complaints. 10. E-learning is popular - Today, everyone seems to own or have access to a number of devices – from laptops to tablets to mobile phones. Any, and all, of these technological devices can be used to deliver learning materials, on demand, as and where required. For the learner, e-learning is simpler and cheaper than having to re-arrange your commitments so that you can spend time and money attending a classroom-delivered course. E-learning is also likely to be more ‘personalised’ – that is, relevant to the particular learner’s needs – and it’ll be available as, when and where the learner wants to learn. Kate Carter, Engage in Learning’s Operations and Marketing Manager, commented, “Bob’s article is the first in a series of thought-leading articles we hope to publish on our blog – to help L&D practitioners grasp the concepts of their sector and promote their activities to the senior executives in their organisations. “Bob’s right about e-learning,” Kate added. “As a learning delivery mechanism, it has a great deal to recommend it – provided that the e-learning materials are of a high quality and are suitable for their intended audience. “That’s certainly the message that Engage in Learning is hearing from its growing list of customers for its portfolio of programmes.